August. Magnificent. Grandiose. Noble. Goofy as can be. The Three Ponies were all of this and more. 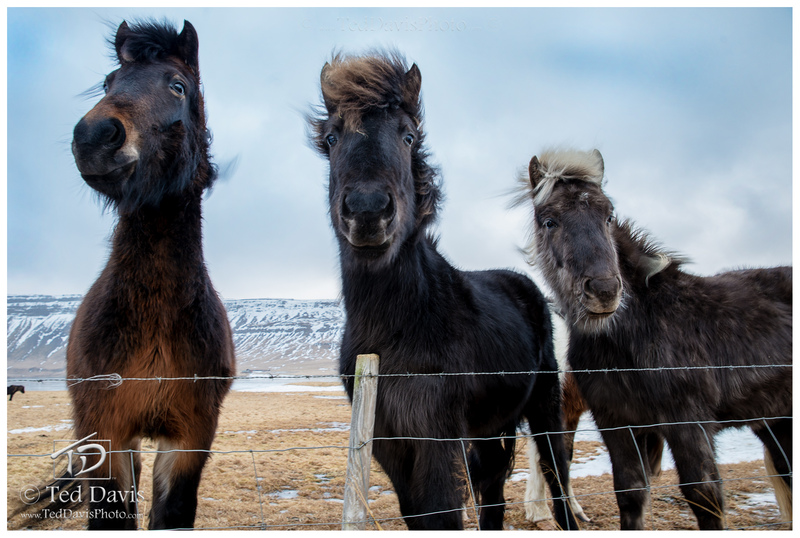 Standing with them as they looked for a peppermint or apple in my pocket, I was startled by the three distinct personalities of each of these beautiful icelandic ponies. Such gorgeous and loving creatures, even with the blistering wind whipping across the fjords of the north, they were curious about everything. Photo © copyright by Ted Davis.